I never really bought into Forrest Gump’s theory that ‘life is like a box of chocolates’ but in the hours that I spend day-dreaming and pottering around in my kitchen a worryingly similar piece of pseudo-philosophy sometimes occurs to me. Hopefully mine is slightly less hokum. Anyway, it’s this: in cooking as with life, often it’s the simple things that are the most satisfying. Don’t you think so? Like with these flavoured butters. They’re nothing more than soft butter that’s spooned through with chopped flowers or herbs. The very straightforward-est of tasks. Yet these butters punch way above their weight with the scope of possibilities and the depth of flavours that they give to the cook. Finely chop/mezzaluna the edible petals or herbs and use a spatula or the back of a spoon to work them thoroughly through soft – but categorically not melted or melting – butter. Then wrap into a sausage-like shape in cling-film. There are tips right at the end for how to do that. 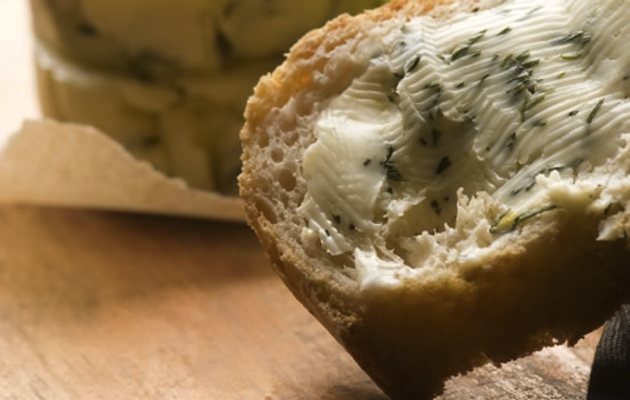 The idea is to end up with logs of herb or flower butter that can be sliced into and used during or at the end of your cooking. 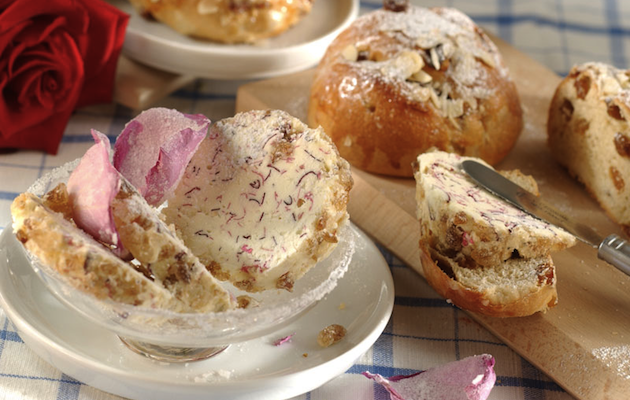 One of the glories of rose butter – and again, it’s the same with all of these butters – is that the cling-filmed logs will keep just fine in the fridge for a week or so and can be frozen for a couple of months. Which means that even as the summer is fading into a memory you could still whip up a batch of this rose petal shortbread. Beat together the butter and sugar until it’s smooth and light. Add the flour and use your hands to bring it together into a smooth dough. Shape the dough into a disc, wrap it in cling film and chill for about 20 minutes. Roll it out onto a floured work surface to about half a centimetre thick. Cut out the biscuits, pop them onto a couple of baking trays and chill again for another 15 minutes. Bake for 13-16 minutes until their paleness is just on the cusp of turning golden. Sprinkle with the rest of the caster sugar before transfer to a wire rack to cool. Nasturium’s zingy pepperiness makes for a lovely savoury flower butter – and a very pretty one too if you make the most of its myriad colour options. The most tender and flavoursome roast chicken of your life can be achieved by stuffing 100g or so of soft nasturtium butter under the chicken’s skin before it goes in the oven. A slice or two of the butter log does well atop salmon that’s going to be oven-baked, and nasturtium butter on top of any white fish just before you serve it melts into a delicate and light sauce. Stir the finely chopped petals from 25-30 nasturtium flowers into 125g butter with a pinch of salt, a grinding of pepper and a good grating of lemon zest. A teaspoon and a half of chopped chives make a nice addition. Or – but probably not and – try a clove of garlic. Chive butter can also stand on its own two feet without any other flavours holding its hand thank you very much. It’s a great example of how a plant’s flowers and leaves are used together for maximum effect. In this case the relative mildness of the flowers rounds-off the edges of the chive herb leaves we’re so used to. With the purple flowers added it becomes a smoother hit of onion. I’ll often pack some chive butter into a picnic for flavoursome spreading onto hunks of white bread. 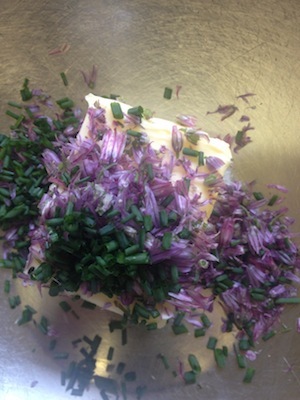 For 125g butter use a tablespoon of snipped chive leaves and the petals from three chive flower heads. The chive flowers aren’t essential, though. Please don’t let a lack of chive flowers stop you enjoying herb butter made with the leaves only – just use twice as much. Similarly two big tablespoons of any of chopped tarragon, dill, chervil or parsley can be worked into 125g butter with some salt and a teaspoon of lemon juice to create fabulous herb butters. A slice of those works wonders on top of a perfectly cooked steak or indeed any meat or fish. Finally, here’s the ‘how-to’ on making those cling-filmed logs I keep mentioning. Stretch out a piece of cling film approx 30cm long. Place the butter in a pile at one end of the cling film, about a little finger’s length up from the edge. Bring the edge up and over the butter and start to press it into a sausage shape. Roll the cling, pat the butter, shape it, tighten. Keep going until you get to the end of the cling and have a neat, tight log that’s about 10-12cm long and 3cm in diameter. If you’ve ever made a Swiss Roll this should all come quite naturally. 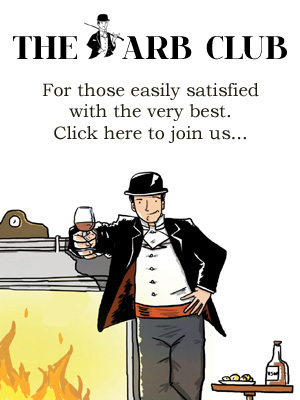 And if you haven’t, well now you really might as well try one as you’re partway there on the not-all-that-tricky bit. Roll the butter log backwards and forwards to tighten it. Pinch the ends, twist them towards you and hold them as you roll the butter away – that should help the ends come together tightly. The butter is now ready to chill or freeze until needed. I do recommend labelling each log with what it is, though. 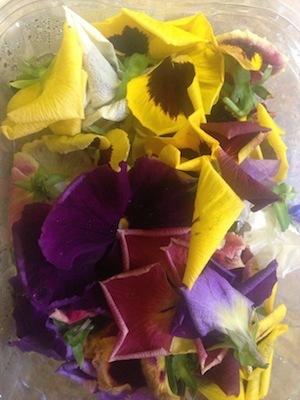 Life can also be like a freezer of unlabelled flower butters: full of confusing choices.